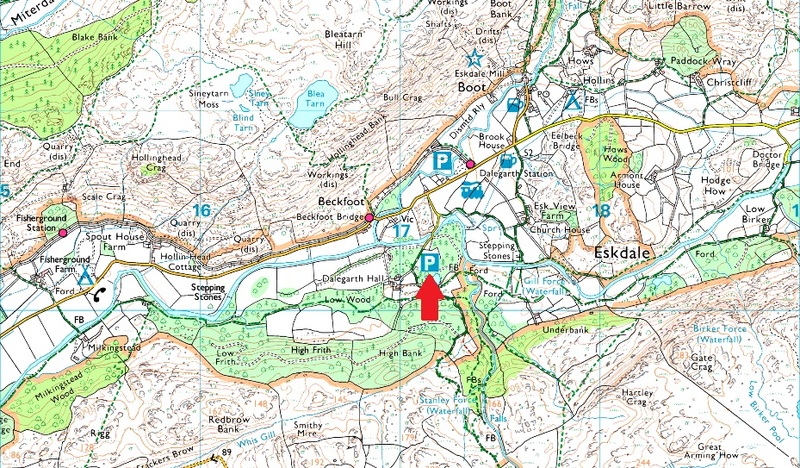 Notes: There is a car park close to Dalegarth Hall, Boot, Eskdale where you will find ample parking which is ideal for walks around Eskdale, Boot and especialy the famous miniure railway home of Lal Ratty. Please be advised that although the carpark has room for well up a dozen cars access to it from Boot is via a narrow lane, be prepared to give way of vehcile approachung from the opposite direction. Parking is free.